This week, children all over the city said goodbye to summertime and started their first days of school. School, along with the already-changing leaves on the trees and the cool mornings, have made summertime seem almost like a distant memory. 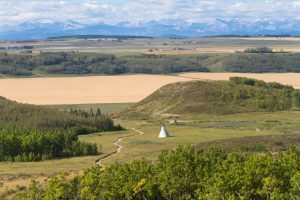 In looking back on summer at Glenbow Ranch Provincial Park, many highlights come to mind. Our summer started off with our at-the park school field trips. 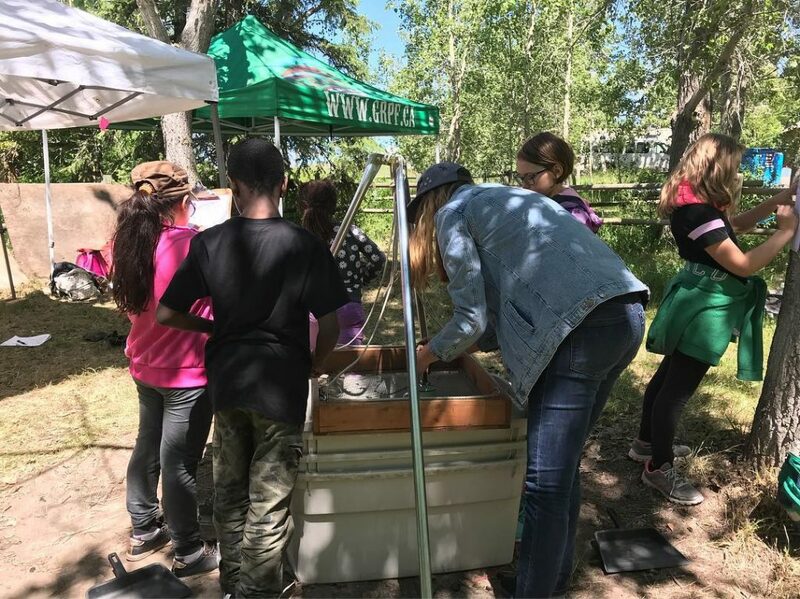 Children from all over the Calgary area took part in our Pond Exploration Program, our Discover Archaeology Program, and our Discover Grasslands Program – which was reinvigorated by our new partnership with Alberta Beef Producers. These programs brought hands on, outdoor learning to over 710 students and the sense of wonder we saw in children’s faces as they learned something new was special to see.We had a busy summer delivering our Best of Glenbow Golf Cart Tours. Many of you brought your out-of-town visitors to take part in the tours and we thank you for that. It was not uncommon for our tours to see coyotes, deer, eagles, moose, badgers, and of course our resident cattle. Our tours will continue through the month of September, so wear a tuque and come out and see the park in all its fall colour splendor! Our partnership with Wildlife Preservation Canada saw some 100 bee nest boxes placed throughout the park and volunteers were often spotted identifying bees and photographing their finds. In total, fifteen species were identified at Glenbow Ranch, including the Bombus occidentalis and Bombus terricola, two species at risk in Canada. 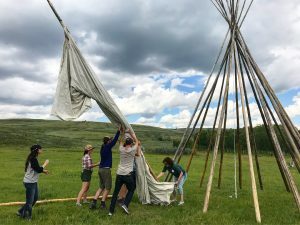 In August, GRPF staff and volunteers along with Alberta Parks Staff erected a teepee at the trail head of Yodel Loop with guidance from Virgil Stevens, our friend from the Stoney Nakoda Nation. If you have not gone to see and stand inside this teepee – please do. It is a special experience.Our newly renovated Visitor Information Center saw guests from near and far including visitors from Thailand, Australia, Majorca, New Zealand, Scotland, Switzerland, Germany, and the United States. I wish to thank our volunteers for helping GRPF staff man the Visitor Information Center throughout the summer. Thanks also goes to the fantastic Alberta Parks Staff at the park who look after these lands we love so much. This includes summer staff Blake, Jenna, and Hunter. Finally, on behalf of Glenbow Ranch Park Foundation staff and Board of Directors, I want to thank all of you who visited the park over the summer. We hope you had a wonderful time whether you walked, cycled, inline skated, painted or volunteered at the park. We hope we see you again soon! 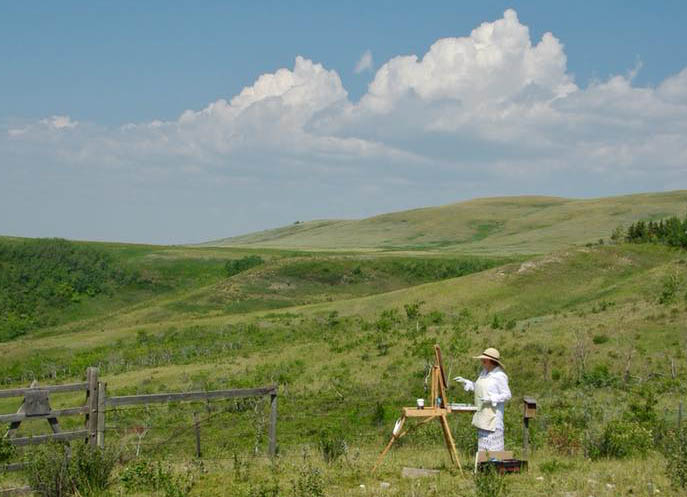 Please considered showing your support for Glenbow Ranch Park Foundation by donating today. It is your donations that allow us to do our work, not just throughout the summer, but all year round.